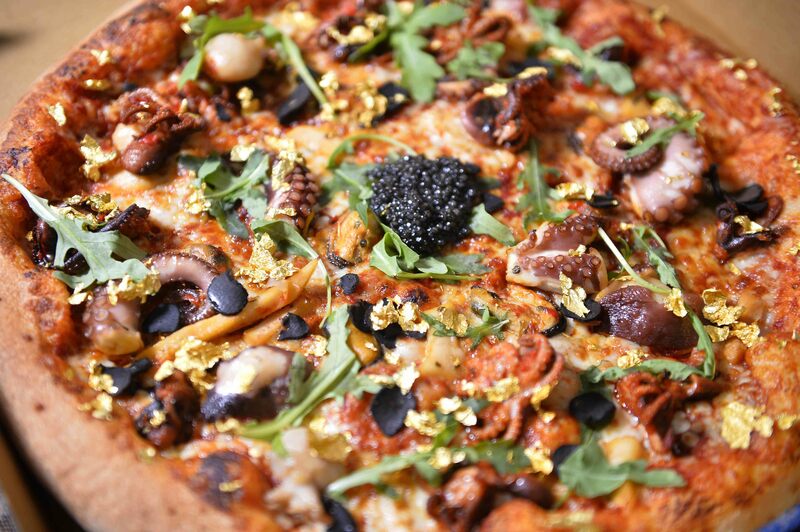 The ‘Multi-Millionaire’ pizza created by Four Star Pizza. 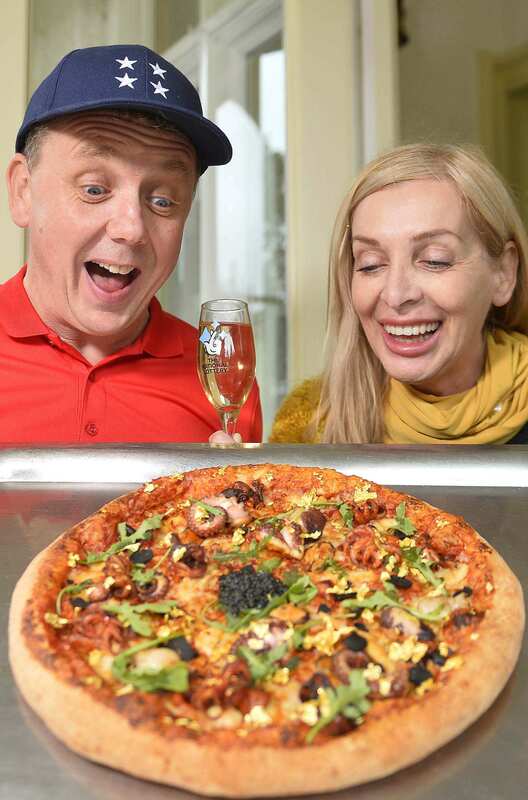 IT may taste a little rich for most palates but pizza chain Four Star Pizza has created what it believes to be Northern Ireland’s most expensive pizza, as the country waits in anticipation of this weekend’s massive EuroMillions super jackpot. Pictured: Derry~Londonderry lottery winner Anne Canavan, who won £1M on EuroMillions three years ago, received a special delivery of Northern Ireland’s most expensive pizza today from Ciaran Bradley of Four Star Pizza, ahead of this Friday’s massive EuroMillions super jackpot. Watch to see how the 'Multi-Millionaire' pizza is made, featuring Four Star’s Scott Higginson.